We are developing the robot in order to guide visually impaired persons in large hospitals. 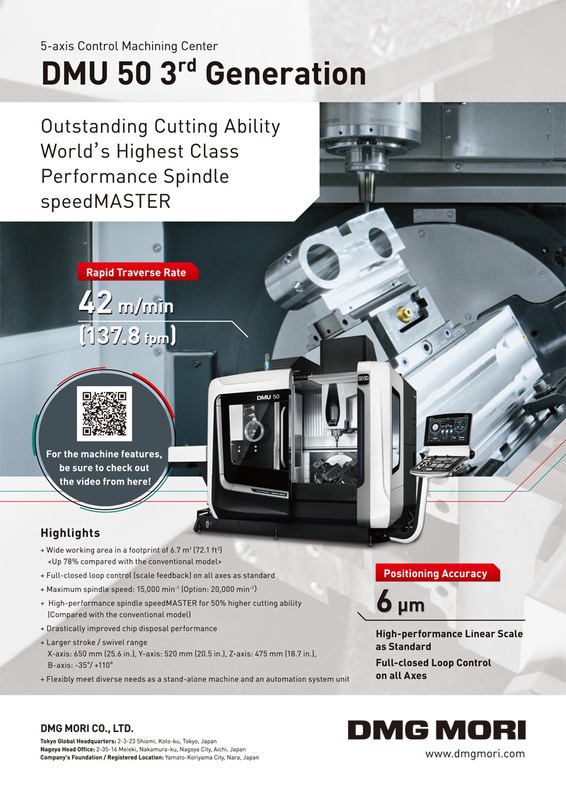 This paper describes the structure of the robot and the results of a demonstration examination in Kanagawa Rehabilitation Hospital, Japan. The robot navigates to the destination while steering, depending on the force with which the user pushes on the robot. 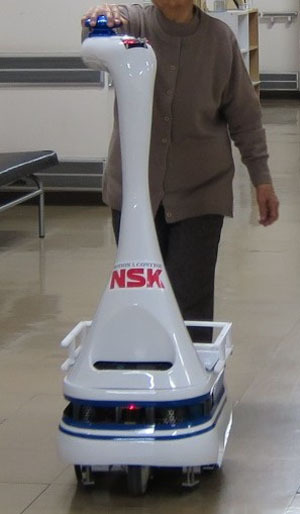 The success rate for reaching a destination with the robot was higher than with a white cane in the testing at Kanagawa Rehabilitation Hospital. We evaluated the traveling time and the participant questionnaire as an endpoint by Wilcoxon signed-rank test. Though there is no advantage in traveling time between use of the white cane and the robot, according to the scores of the participants questionnaire, it was shown that traveling with the robot was better than traveling with the white cane for the participants. K. Tobita, K. Sagayama, and H. Ogawa, “Examination of a Guidance Robot for Visually Impaired People,” J. Robot. Mechatron., Vol.29, No.4, pp. 720-727, 2017. S. Tachi and K. Komoriya, “Guide Dog Robot,” Robotics Research: The Second Int. Symposium 1984, pp. 333-340, The MIT Press, 1985. M. Mori, R. Matsumoto, Y. Kobayashi, and A. Mototsune, “R&D for Practical Use of Robotic Travel Aid for the Visually Impaired,” J. of the Robotics Society of Japan, Vol.19, No.8, pp. 26-29, 2001. K. Tobita, H. Ogawa, and K. Sagayama, “Development of a Robot Substitute for a Guide Dog,” Image Laboratory, p. 42, September 2013. K. Tobita, H. Ogawa, and K. Sagayama, “Development of a Robot Substitute for a Guide Dog,” NSK Technical J. Motion & Control. No.25, pp. 19-24, September 2016. K. Tobita and K. Sagayama, “Effort of Guidance Robot for the Visually Impaired,” Letters of the Japan Robot Association, No.217, pp. 33-36, 2014. F. Dellaert, D. Fox, W. Burgard, and S. Thrun, “Monte Carlo localization for mobile robots,” Proc. of the IEEE Int. Conf. on Robotics and Automation, Vol.2, 1999. T. Sakai, H. Nakajima, D. Nishimura, H. Uematsu, and H. Kitano, “Autonomous Mobile Robot System for Delivery in Hospital,” Matsushita Electric Works technical report, Vol.53, No.2, pp. 62-67, 2005. K. Mima, M. Endou, A. Ming, C. Kanamori, and M. Kajitani, “Development of Mobile Robot Elevator Utility System,” J. of Robotics and Mechatronics, Vol.11, No.1, pp. 78-85, 1999. H. Aoyama, K. Ishikawa, J. Seki, Y. Adachi, S. Ishimura, Y. Satsumi, and M. Mukaidono, “Safety Measures of Elevator Boarding System for Cleaning Robot,” J. of the Robotics Society of Japan, Vol.29, No.9, pp. 792-795, 2011. D. Fox, W. Burgard, and S. Thrun, “The dynamic window approach to collision avoidance,” IEEE Robotics & Automation Magazine, Vol.4, No.1, pp. 23-33, 1997. F. Wilcoxon, “Individual comparisons by ranking methods,” Biometrics Bulletin, Vol.1, No.6, pp. 80-83, December 1945.